James Gustave Speth, a Rhodes scholar, environmental advocate and lawyer, will deliver the commencement address May 18 at Unity College. UNITY — An environmental advocate and lawyer will deliver the commencement address May 18 at Unity College. He is expected to speak about climate change, among other topics. James Gustave Speth, a Rhodes scholar who joined the faculty of Vermont Law School in 2010, was announced as the speaker in a statement Tuesday from Unity. The commencement, Unity’s 44th, will take place at 1 p.m. in the college’s Tozier Gymnasium on Quaker Hill Road. The commencement ceremony is one of the most environmentally sustainable in the country, according to the statement. In an effort to be an environmental leader, the college obtains food locally from sustainable producers, uses caps and gowns made from recyclable plastic bottles, prints diplomas and programs on recycled paper, and makes carbon offset purchases for all participants. In addition, graduates are asked to make a sustainability pledge “to live a life in service to the planet” and are given sapling trees. Speth has worked as dean of the Yale School of Forestry and Environmental Studies, chairman of a United Nations development group and chairman of the U.S. Council on Environmental Quality in the Carter administration. He founded the World Resources Institute and co-founded the Natural Resources Defense Council. 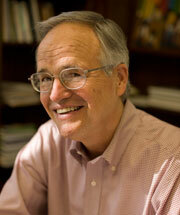 He has written or co-written six books on environmental issues. Stephen Mulkey, president of Unity College, said the college would distribute a copy of Speth’s most recent book to each graduating student.